When our customer in Arlington Heights, IL noticed high energy bills and drafty windows, she knew it was time for an upgrade. Our sales team at WindowWorks met with her to discuss what options were right for her home. 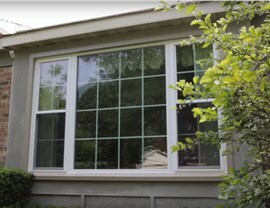 Her new windows lower her energy bills, and complement her home’s overall style. It was our pleasure to help with this home project, and we can't wait for what's next!